A few weeks ago I was trolling through my library’s OverDrive collection when I spotted A Great and Terrible Beauty by Libba Bray. I vaguely remembered hearing positive reviews about the series so I impulsively downloaded the book. Not only did I tear through the book in a matter of days, I stayed up ridiculously late one night (a work night, of course) to finish it. The second book, Rebel Angels, got a similar treatment. The third, The Sweet Far Thing, however, did not. Overall, the series is pretty good. I’m not a historian, so I can’t say this with absolute certainty, but the setting (Victorian England) felt genuine. The heroine, Gemma Doyle, is smart, witty, flawed, and not above thinking snarky thoughts about her snotty classmates. Some of the characters – like the snotty classmates – are rather one-dimensional, but I was willing to let that slide and just enjoy the story (the better-developed characters aren’t exactly complex, either). The paranormal element (surprised there is a paranormal element? allow me to introduce you to contemporary YA fiction) is just unique enough to keep it from sounding like every other book containing magic and mythological creatures, but it doesn’t beat the reader over the head with its uniqueness (“Look at me! Look how clever and creative I am! No, really, I’m clever and creative!”). My biggest beef with the series as a whole (aside from a few complaints here and there) are the covers and titles of the books. The covers didn’t bug me as much as the titles, but that’s probably because I didn’t have to look at them very often since I was reading the books in ebook form. The titles just don’t seem to match the books very well. Anyway, The Sweet Far Thing. While I read A Great and Terrible Beauty and Rebel Angels in just a few days each, it took me a week and a half to get through this one. This. Book. D.R.A.G.G.E.D. And the thing is, I don’t mind long books. I don’t mind books that aren’t action-packed. But I got a third of the way through this book and I started seriously doubting that I would ever finish it. If it had been the first book and not the third, I probably would not have bothered. I really hate to say it, but it’s true. My recommendation would be to read at least the first book. It’s better than a lot of the paranormal books saturating the YA market, and Libba Bray is an entertaining writer. The Sweet Far Thing may not have been as good as I’d hoped it would be, but it hasn’t scared me away from Bray’s other work, either. I may take a little YA break, though. 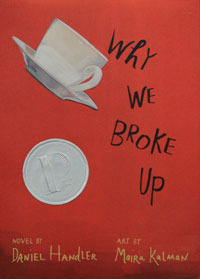 It was after reading the second review of Will Grayson, Will Grayson (first Birdbrain(ed) Books’ review and then Ana and Renay’s joint review on Subverting the Text) that I decided to stop wondering who this John Green guy was (and why every mention of him was accompanied by gushing) and read one of his books already. The sample of Will Grayson, Will Grayson I read failed to captivate me so I went an earlier work, An Abundance of Katherines. I understand the gushing now. An Abundance of Katherines stars Colin Singleton, the biggest nerd on the planet. (And I mean that in the nicest way possible.) He has strange quirks, like his ability to anagram everything and his inability to whisper, and is a cornucopia of random information. He’s also dated, and been dumped by, nineteen Katherines. Colin’s never-ending supply of facts (which meant I learned lots of useless information that promptly went in one ear and out the other). the footnotes. 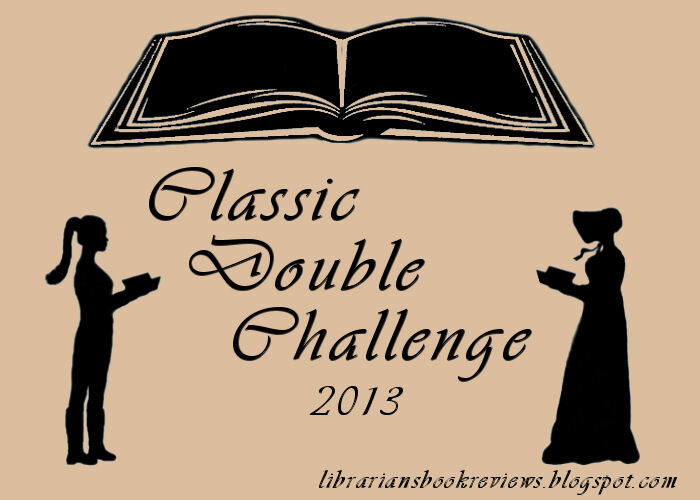 After reading Jonathan Strange and Mr. Norrell, I fell in love with footnotes in fiction. 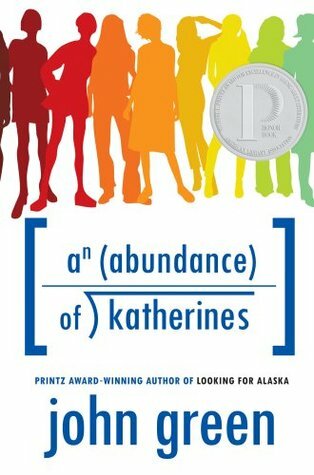 When I saw that An Abundance of Katherines contained footnotes – and that they were just as entertaining and wonderful as Susanna Clarke’s – I wanted to hug John Green. Colin’s best friend, Hassan. That guy is fugging hilarious. He’s not just an amusing sidekick, though, which I really loved. There’s more depth to Hassan’s character than you see in most best-friend-to-the-main-character characters. the dialogue. 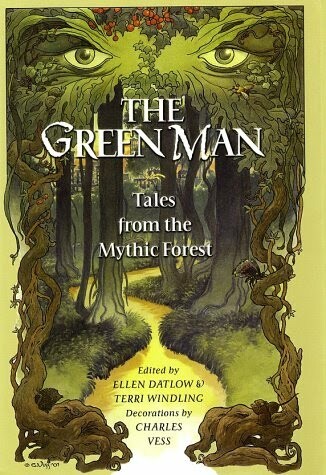 Green’s dialogue not only sounded realistic, but revealed more about his characters’ personalities than pages of description and back history ever could. In short: better than I expected. It’s definitely one I would read again, if only to re-experience the dialogue and graphs. 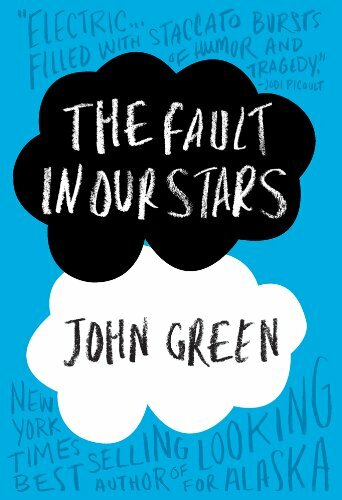 So tell me, John Green fans, how do his other books measure up? 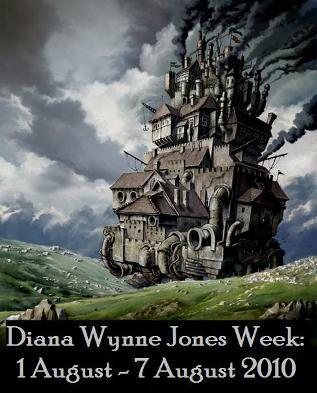 Many moons ago I found out that Jenny at Jenny’s Books was hosting a Diana Wynne Jones Week the first week of August. This excited me a great deal, and I figured it would be the perfect introduction to an author I had been meaning to read for awhile. I made a mental note to myself to check out a few of her books in mid-July so I would be all ready to go when August hit. Okay, so the mental note got lost. 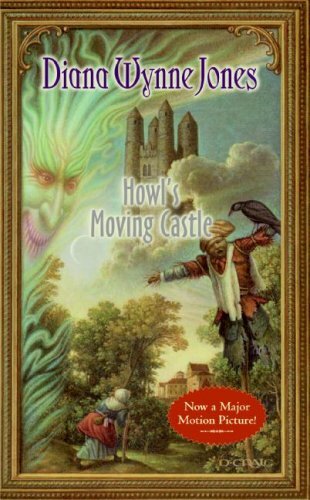 By the time I remembered* it was already Monday, Day 2 of Diana Wynne Jones Week, and by the time Howl’s Moving Castle arrived at the library it was Saturday, Day 7 of Diana Wynne Jones Week. Sidenote: I almost stopped reading at this point so I could call my younger brothers and share this tidbit with them. “Great news, guys! You can go out and seek your fortunes worry-free! I’m the one who’s going to fail!” Unfortunately for them, though, I’m not the eldest of three, I’m the eldest of four, and four’s not a particularly significant number. Oh! But I’m the eldest with three brothers! Wonder if that means anything? I also loved Sophie. Loved her tantrum involving the weed-killer, loved how she went around talking life into things for forever before she realized could do it, loved her cranky old lady side. I recognized a piece of myself in her, too, although not an especially flattering piece. Before Howl pointed it out to Sophie, I had suspected for some time that she was preventing herself from escaping the spell she was under and was using it as a shield. It was during this exchange, however, that I realized that I would have behaved the exact same way. Drat. I really hate self-awareness sometimes. So sign me up: I am officially a Diana Wynne Jones fan. And as soon as I’m less sleep-deprived I’m consulting Jenny’s lists (here and here) to see which book I should read next. Oh, hurray for discovering great authors after they’ve written a zillion books! I now have lots of reading ahead of me. Bliss, bliss, bliss. Okay, I’m off to hide Howl’s Moving Castle before I stay up reading it again. And maybe now I’ll go to bed. Because clearly I need sleep. *And yes, I am well aware that Jenny has a giant DWJ Week button on her blog. I saw (and admired) it every time I stopped by. In my defense: I have toast for brains.